We all know water is the best stuff for us to drink. Without it we die. But even if you drink at least eight full glasses every day, sometimes don’t you feel like drinking something refreshing that’s still good for you? Sugary, artificial drinks are not an option if you care about your health, so here are some of my favorite healthy drinks that are high on flavor and satisfaction without any of the bad stuff. The best coconut water comes straight from the source, but I never seem to have a machete on hand. 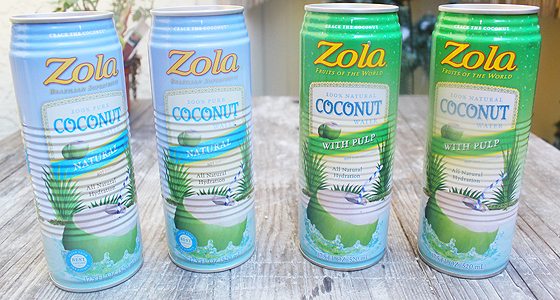 So unless I’m someplace where an actual coconut can be cracked open and served to me with a straw, I opt for Zola or Taste Nirvana, usually with pulp! (Those other mainstream brands like Zico and Vita Coco taste weird to me.) An 11-ounce container has about 60 calories, no fat and more potassium than four bananas. Just make sure to read the labels so you choose plain coconut water with no added ingredients like sugar and flavoring! Cold. Pressed. Watermelon. OMG this stuff is delish!!!! Growing up I always loved sandia agua fresca, but I just don’t have time to make it. Enter my new favorite flavored water that actually has NO water added. Say whaaaaat! Yep, it’s true. 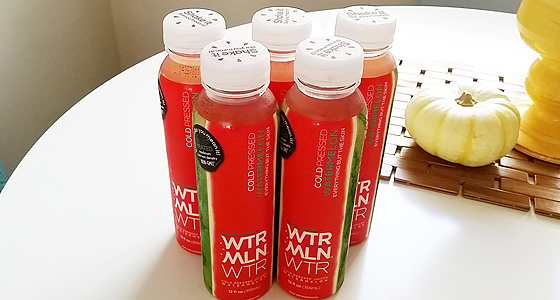 Wtmrln Wtr just came on the market and I was lucky enough to be among the first taste testers and now I’m hooked! You can get it at Whole Foods. FYI: It has the same sugar as coconut water (12g) per serving. For those of us in LA, this drink has nothing to do with Malibu. (It actually started in Hawaii). 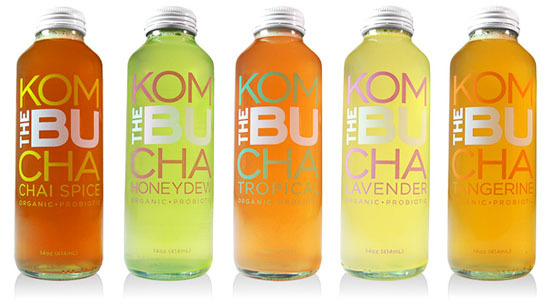 Bu Kombucha is an all-organic line of kombucha, the fermented tea drink that’s extremely popular with health nuts because it’s loaded with probiotics. I never liked kombucha because it tasted too acidic and beer-like (thanks to the fermenting) and just not very pleasant. Well, this stuff is AWESOME! I’ve tried every flavor and they all have a definite bite, but the Lavender (organic green tea blended with fruit and flower essences) is incredible. With its crisp lemon-lime taste and spicy herbal zing, it’s so light, so clean and refreshing it actually made me feel kinda high! You can find it online here and at select Sprouts and Whole Foods markets. I’m a huge fan of Paleta’s cold-pressed juices not only because it’s made with organic ingredients and tastes great, but because the owner Kelly Boyle, a cancer survivor, is truly making a difference with her passion and integrity. I’m also totally obsessed with Paleta’s dairy-free pumpkin pie “magic milkshake.” Pumpkin is loaded with vitamin A and antioxidants and I just love the creamy-yet-slightly-grainy consistency with hints of cinnamon, nutmeg and clove. 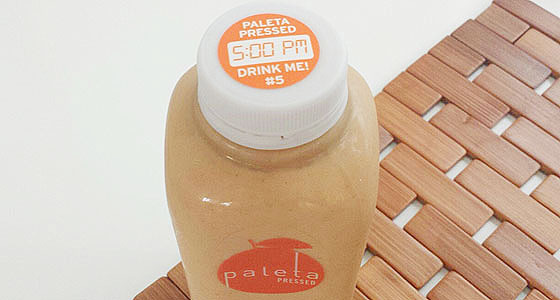 It’s part of the Paleta Two-Day Detox, but you can buy it a la carte and enjoy anytime. The only problem is trying to stop at just one!!! 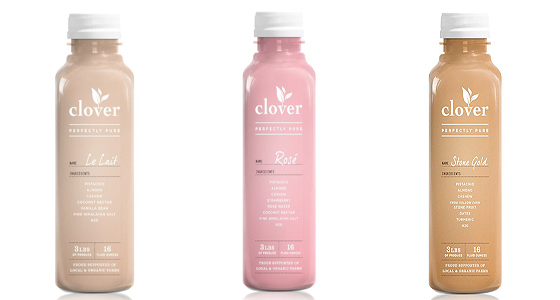 Clover is an LA-based cold-pressed juice bar and now this local spot is making nut milks, which I love because you can still get that creamy milk texture without having to eat any animal products. Plus you get all the protein and nutrients. These “laits” (French for milks) come in the most AMAZE flavors like Rosé made from pistachio, almond, cashew, strawberry, rose water (lovez!!! ), coconut nectar, pink Himalyan salt and water. I’m a huge fan of rose water not only for its flavor (I love drinking things that are floral) but also because it’s good for diminishing cramps and indigestion. That watermelon water looks bomb.com – thanks for the heads up, Mar! Mar how did you know I wanted to rock the seasonal beverages? We love you in Camarillo!